and SPA services with natural products and SPA-packages. 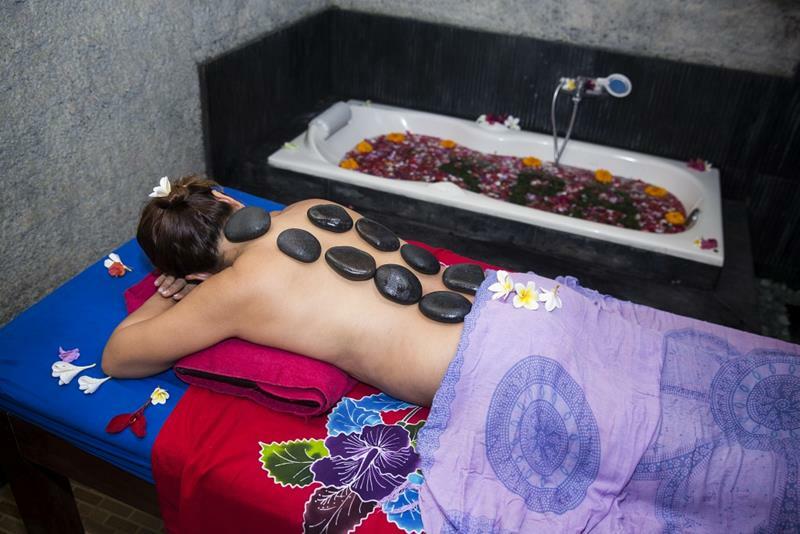 Enjoy relaxing massages and beauty treatments and escape day-to-day stresses in a welcoming and clean atmosphere. Or simple let yourself be pampered after a hard day of diving. 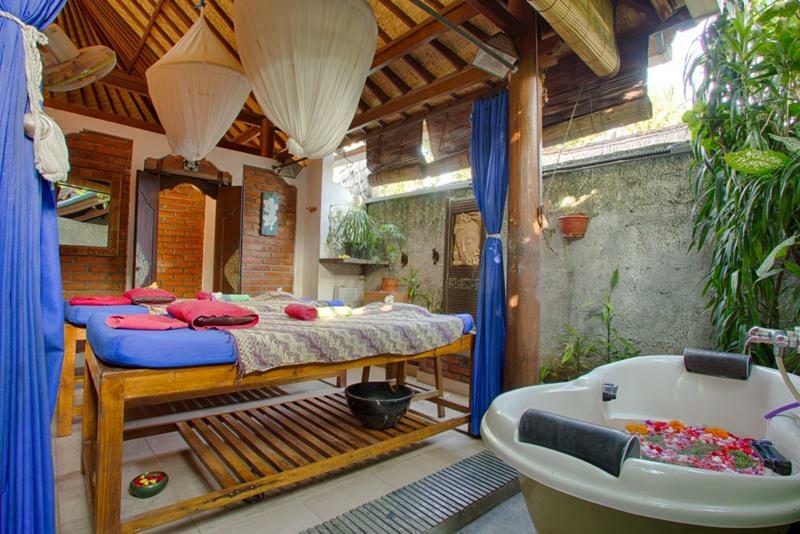 Discover what a real Balinese massage feels like. Our signature full body massage combined with five different massage technique, shiatsu, stretching, Hawaiian LomiLomi, acupressure points and aromatherapy essential oils. This soothing and gentle massage allows the healing properties of these natural oils to penetrate into the skin leaving you relaxed and promote harmony of the mind, body and soul. A therapy massage especially for people with stress, headache, tiredness around the eyes, neck and shoulder areas as a result of migraine or lack of sleep. By using proper pressure, the head and shoulder massage is ideal to help freshen and relax the body, which will lead to a better sleep. Experience this ancient beauty secret of the Balinese beauty by applying fresh homemade product to the face to promote a more youthful and lustrous alabaster complexion. Containing a unique combination of natural elements and minerals, this fresh ingredients assists in the renewal of skin cells, leaving the skin translucently flawless. 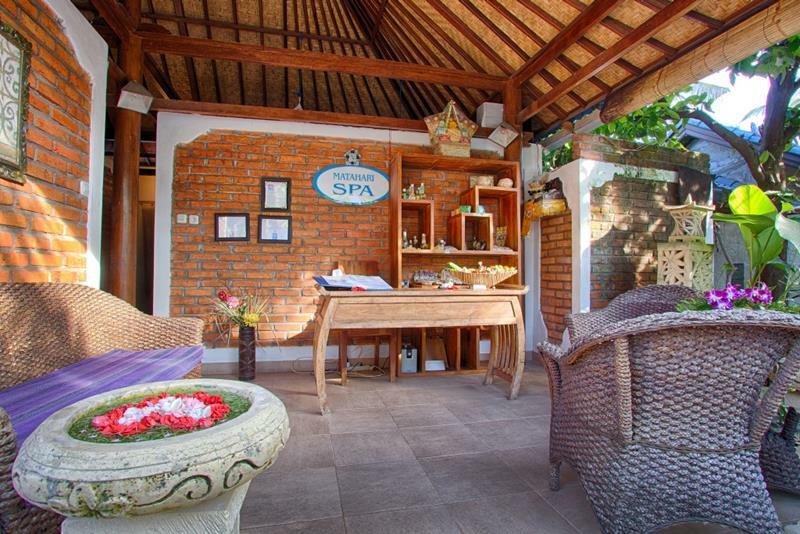 The SPA Sampler package start with aromatherapy foot ritual, followed by Matahari balinese aromatherapy massage and continue with a choice of 30 minutes refresher facial or foot massage. The Hot Stone Massage was used for centuries by Chinese, native Americans, Egyptians and Hawaiians. They attributed the stones a secret, special and invisible healing power. In addition to the invisible healing properties and the physical properties of the stones they have been used to relieve many complaints. Your treatment start with aromatherapy foot ritual and begins with a gentle massage using oil while the stones are heating and sanitizing. Followed by a combination entailing the use of smooth warm volcanic stones which are rich in minerals and combined with essential oils. One heated stone in each hand your therapist applies long, flowing massage strokes which penetrate your body tissue, opening up blood vessels and improving circulation. Upon completion of each sequence, the therapist lays a stone to rest at chakra points and other key trigger points. The pressure and soothing on key points of the body create sensations of comfort and warmth which can be effective in relaxing both body and mind, and release the tension and pains. The heat from the stones relaxes your muscles and unblocks energy centers. Please say when you find the stones are too hot for you. 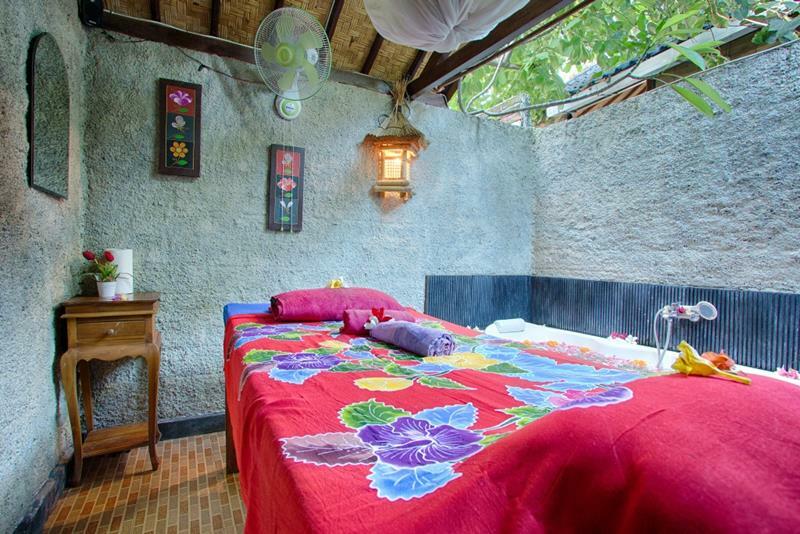 Herbal Massage is known for its healing properties. It’s improves blood circulation and stimulates the internal organs. While the heat dilates blood vessels, it increases the blood and oxygen circulation in the body and improves the efficiency of the different organs. Our specially custom made Herbal compresses for our spa will also have different and specific benefits. Two hours Harmony treatment start with aromatherapy foot ritual, followed by a choice of body scrub green tea, coconut or coffee scrub finishing with fresh homemade cucumber, carrot or Aloe Vera conditioner. Enjoy our aromatherapy floral bath serve with ginger tea and cookies to unwind yourself. Treatment will be continuing with our SIGNATURE Matahari aromatherapy body massage. Escape day-to-day stresses: Full rejuvenation treatment from head to toe to enhance your body, mind and soul. The treatment will be start with aromatherapy foot ritual, followed by a choice of body scrub to remove the dead skin and soften your skin and finished with conditioner application. Enjoy our aromatherapy floral bath serve with ginger tea and cookies. Pamper your body with Matahari Balinese aromatherapy body massage, follow with refresher facial and while facial mask your relaxation will be completed with simple foot massage. More than just a foot massage, with apressure point. It’s work on the feet to increase circulation shift toxins and stimulate the body self-healing. This is a truly ROMANCE for TWO. Share a relaxing, rejuvenating and romantic Spa experience with your partner. Enjoy side-by-side Spa treatment together in our romantic “Couple Spa Suite”. Be pampered and indulged as you feel the stress seep away in an atmosphere that is warm, welcoming, relaxing and unpretentious. 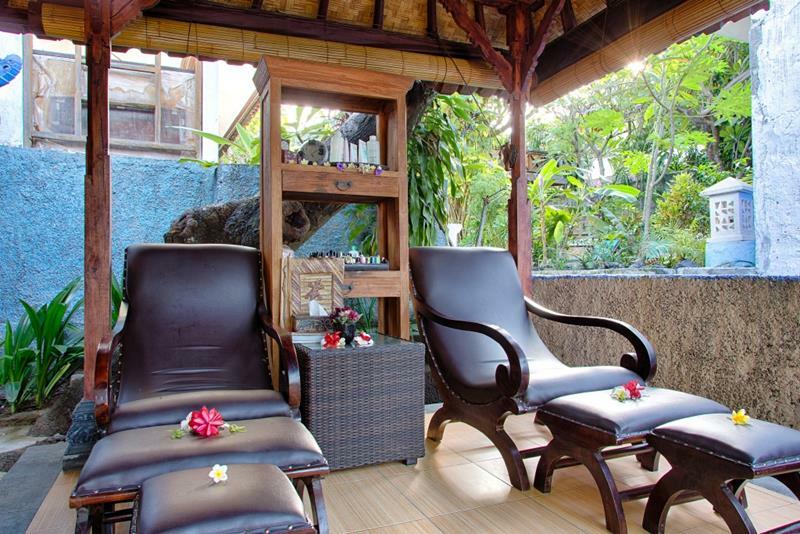 Aromatherapy foot ritual followed by Matahari Balinese Aromatherapy massage, continue with refresher facial for the lady and Foot Reflexology for the gentlemen. Treatment will be finished with express manicure for the lady and pedicure for the gentleman. Two therapists will indulge you with a very relaxing “Four hand massage” technique. Starting with an aromatic foot bath in floating flowers and continuing with a deep relaxation massage by two therapists at the same time using gentle movements in one rhythm. We provide hair removal in a clean, caring and comfortable environment: For women and men from head to toe. Waxing has been around for over 2000 years and has always belonged to the general ideal of beauty. In Western cultures, smooth skin is always more to beauty and well being. Typical hair removal consists of bikini lines, eyebrows or upper lips. We provide hair removal from the face, legs, arms, back, chest, abdomen or feet. Experience a facial for your hair. Tap the wisdom of Rejuvenation and combine the power of touch with aroma-therapeutic essential oils to create a healthy scalp for beautiful hair. Customized treatments meet your personal needs - giving strands intense moisture or repair - restoring balance to your scalp and hair. Included 15 minutes shoulder massage. Hair masks are chemically formulated to close the cuticles on your hair, making them shimmer, reflective and smooth to the touch. Hair masks easily increase the shine on dry and damaged hair, creating the beautiful look that is desired. Increasing Hair Quality including the shine and strength of your hair. Included 15 minutes shoulder massage. Hair cream bath is a treatment to give luster to the hair, nourish hair, maintain healthy hair and preventing hair loss. It starts with hair wash with shampoo and put the cream in the hairs. Enjoy massage gently on the head to give a sense of relaxation on the head and for blood circulation in the head. Pampered with a 15 minutes shoulder massage and finish with hair wash and hair drying.